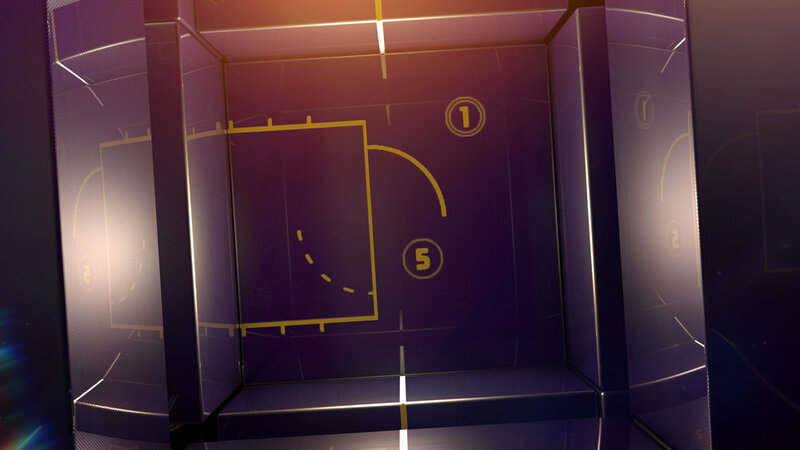 These styleframes helped communicate the ideas for player lockups during the show segments. 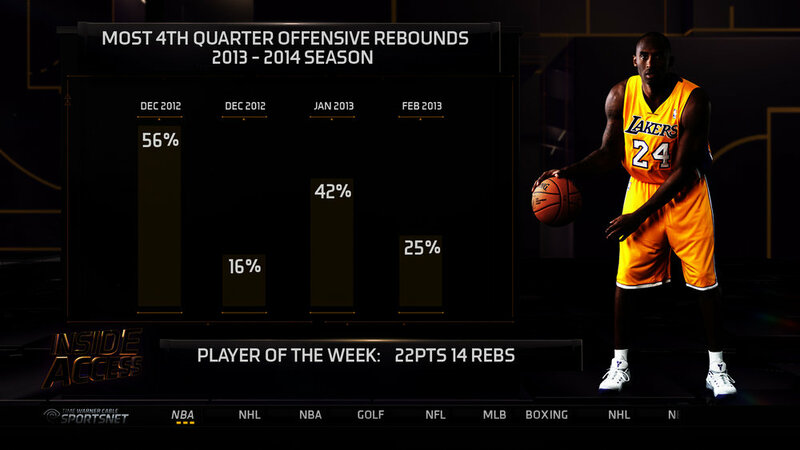 These styleframes helped communicate layout and design for Techwalls that are used for the live show during the regular NBA season. When the hosts needed to highlight technical specifications for players, information would be sourced from an outside statistic and is inserted into the segment for that day. Player stats and strategy were used to define the graphics of this abstract world. The reflective surfaces and linear shapes helped tie us back to the branding of Spectrum SportsNet. Logo lockup used for the beginning and end of the show segments.